TORONTO -- Six Canadians have been included in the NWSL's preliminary draft-eligible list. They are Central Florida defender Kayla Adamek (Ottawa), Cincinnati defender Vanessa Gilles (Montreal), Liberty University midfielder-forward Isabella Habuda (Windsor, Ont. ), Syracuse defender-forward Alexandria Lamontagne (Richmond Hill, Ont. 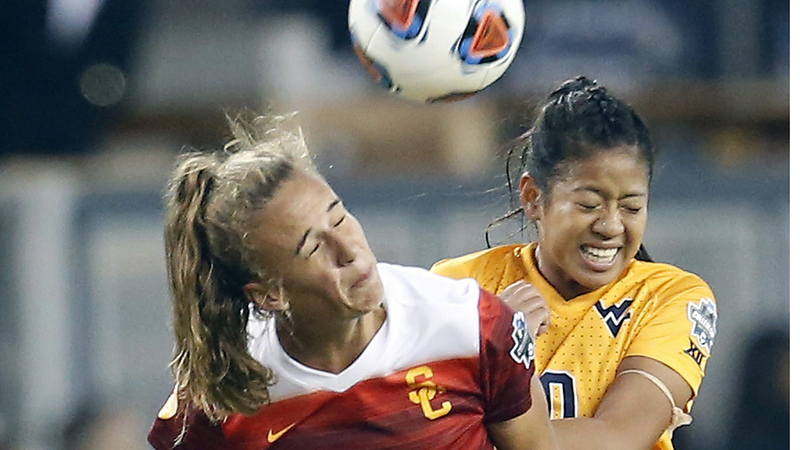 ), West Virginia midfielder Carla Portillo (Mississauga, Ont.) and New Hampshire defender-forward Kendra Prince (Ajax, Ont.). Prince is the younger sister of Canadian international Nichelle Prince, an Ohio State product taken in the third round (28th overall) by the Houston Dash in the 2017 NWSL draft. The NWSL college draft is scheduled for Jan. 18 in Philadelphia. The preliminary draft list features more than 80 players.